I partnered with Endangered Species Chocolate to bring you this post. As always, all opinions are my own. 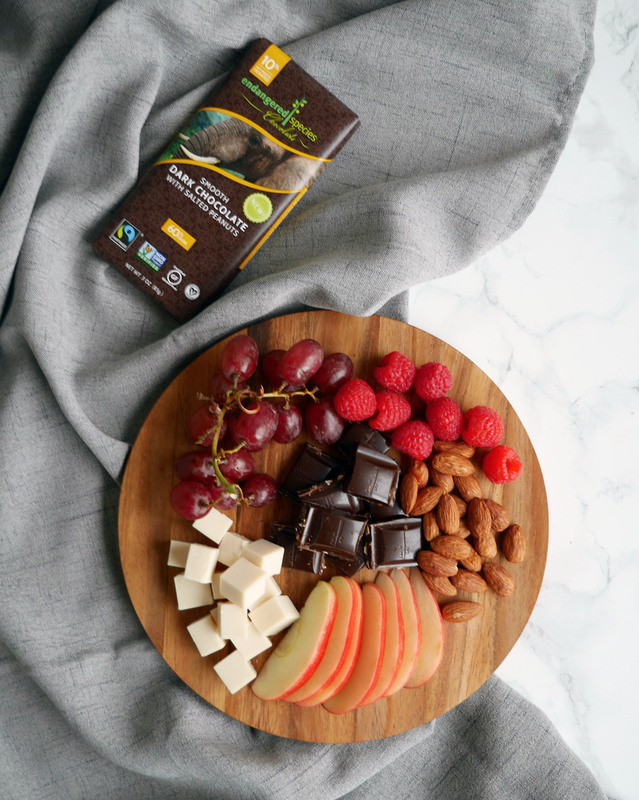 What if I told you there was a way to enjoy chocolate and support wildlife at the same time? If you like the sound of that, Endangered Species Chocolate is perfect for you! 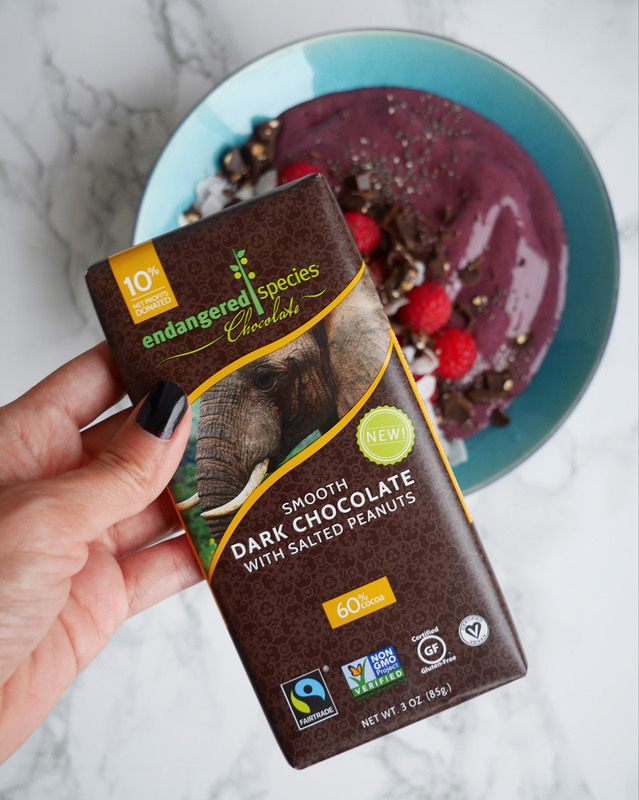 Endangered Species Chocolate is a premium chocolate brand with an important mission: 10% of their net profits are donated annually their wildlife partners, and each partner is guaranteed a minimum donation of $10,000 that they may use to fund any project of their choosing. In the past three years alone, they’ve donated over $1.4 million to organizations such as the Rainforest Trust, African Wildlife Foundation, Wildlife Conservation Network, and more. Of course, I wouldn’t be sharing Endangered Species Chocolate with you if they were not vegan and ethically sourced. Rest assured, Endangered Species Chocolate is certified vegan, gluten-free, non-GMO, and fair trade. In addition to sourcing only from fair trade certified farms in West Africa, Endangered Species Chocolate contributes to a communal fund for cocoa farmers to improve their social, economic, and environmental conditions. 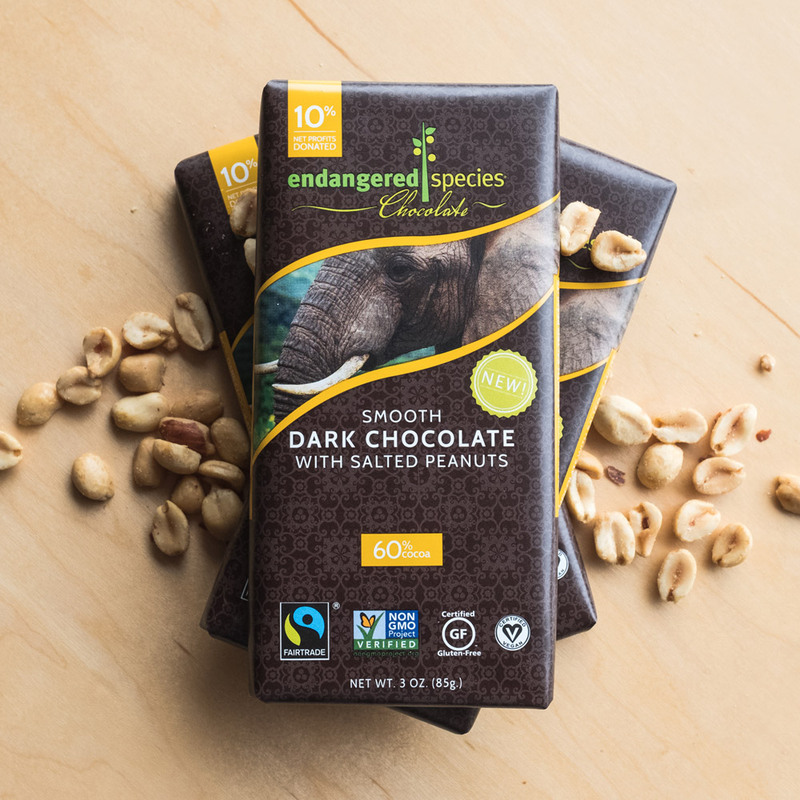 In honor of the magnificent African elephant, Endangered Species Chocolate launched a brand new smooth dark chocolate bar with salted peanuts. When rich dark chocolate meets the salty crunch of peanuts, it’s seriously indulgent. This yummy new addition to the Endangered Species Chocolate collection hit store shelves earlier this year, and there’s an exciting sweepstakes to go along with it! 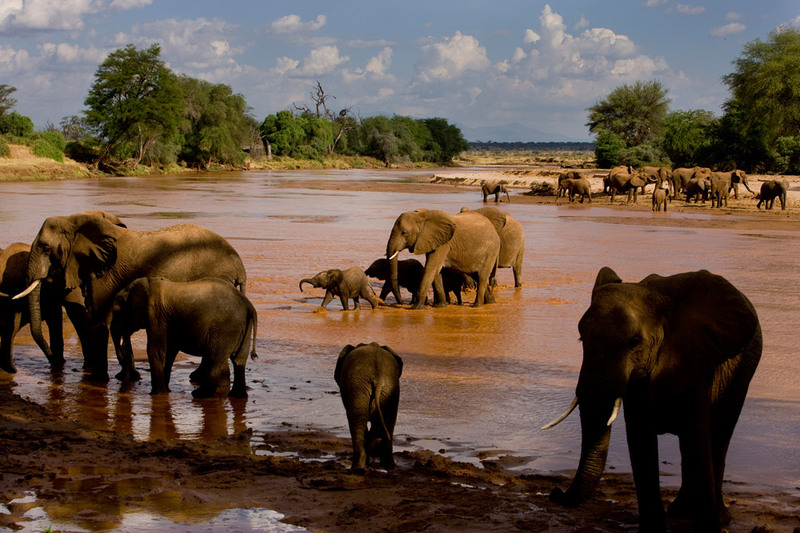 Enter for a chance to win a once-in-a-lifetime opportunity to visit the Elephant Watch Camp, an elephant orphanage and more in Africa. As much as I enjoy a great chocolate bar on its own, it’s much more fun and delicious to use chocolate in a recipe. On top of that, it makes for some Insta-worthy photo ops. Here are some ideas on how to enjoy Endangered Species Chocolate, and I’d love to hear your suggestions in the comments below! 1) Blend. Turn on that blender and toss some chocolate into your favorite smoothie or milkshake. One of my personal faves is a blueberry chocolate concoction. 2) Melt. Next time you’re ready to enjoy a mug of hot chocolate or coffee, melt a piece of chocolate in there. Trust me, you’ll thank me for that tip. 3) Drizzle. Did someone say chocolate drizzle? Chop the chocolate bar into small pieces, then melt it down with the double boiler method. 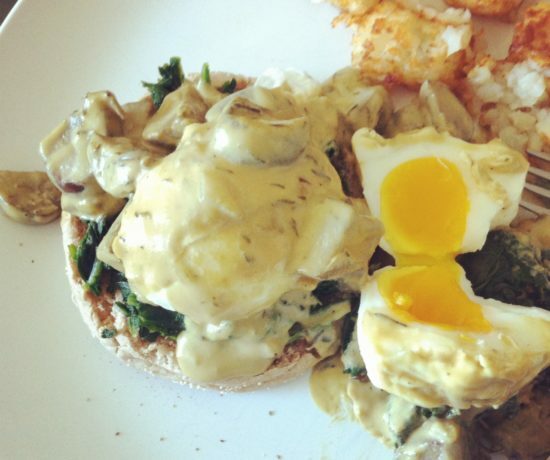 Drizzle it over pancakes, ice cream, and more! 4) Dip. It’s not that hard to make your own chocolate dipped treats, but for some reason, it always looks so impressive. What’s your favorite treat to dip? Mine is juicy strawberries, of course. 5) Toppings. Whether you’re decorating an açaí bowl, layer cake, or mason jar parfait, there’s always room for chocolate. Chop the chocolate bar into small pieces, then sprinkle away. Or whip out that microplane grater for delicate chocolate ribbons. 6) Cookies. Instead of using store bought chocolate chips, add coarsely chopped chocolate to your next batch of cookies, bars, or any other recipe that calls for chocolate chips. I guarantee it’ll add an extra wow factor. 7) Go savory. This may sound a little out there, but add some coarsely chopped chocolate the next time you make a big pot of chili. There’s something about the combo of spicy smoky notes and rich dark chocolate. 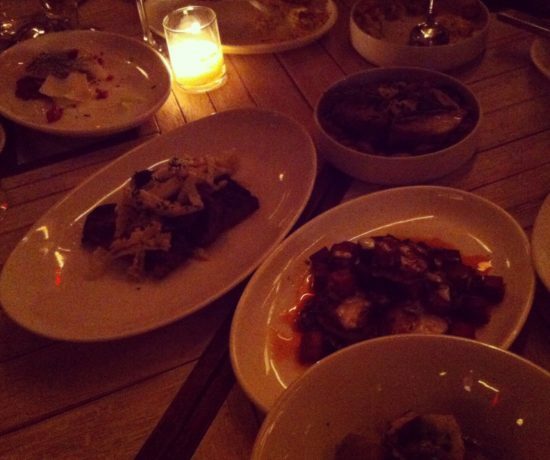 8) Platters. Everyone loves a good wine, cheese, and fruit platter, but when you add chocolate to the mix, it’s even better. Perfect for home date night or a gathering with friends! Note: SPONSORED. This post is in collaboration with Endangered Species Chocolate. This was not in exchange for a positive review and all opinions expressed here are my own. 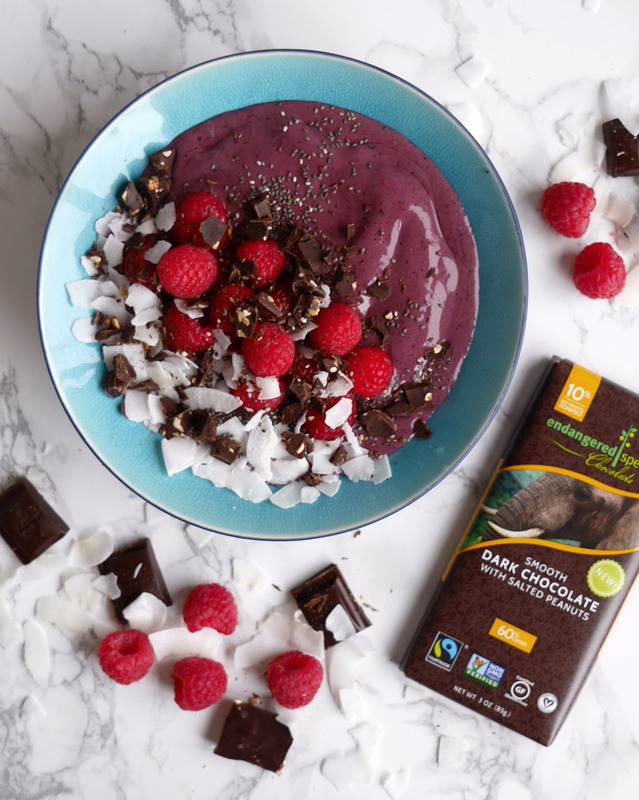 Absolutely love the idea to top a smoothie bowl with chocolate!!! It’s so pretty too! I sometimes use cacao nibs for dressing up my smoothie bowls, but chunks of chocolate are even better! Thanks for putting the on my radar! My kids are both dairy free and gluten free, so I’m constantly trying to find good quality chocolates to get them for a special treat. I’m definitely seeking these out! I imagine I could find them somewhere locally (Whole Foods or similar?). I’m sure Whole Foods and New Seasons carry ES Chocolate, but I was pleasantly surprised to find them at Fred Meyer too. The entire collection was displayed prominently in the chocolate section. Too many bars to choose from!